Does your insurance cover neurofeedback or are you paying out-of-pocket? How many members of your family want to do brain training? Are you the kind of person who can set a schedule and follow it? And I ask them their city and zip and plug it into the Find A Trainer tool on the NeurOptimal® homepage to see who's in their area for in-office sessions. Here's the shocker about neurofeedback in Utah. 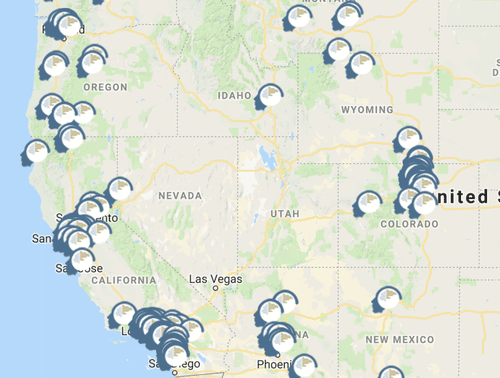 Where to find neurOptimal® in utah? Nowhere, according to the map. But all's not lost. You don't need to forgo brain training or drive to Denver in order to experience the benefits of neurofeedback. 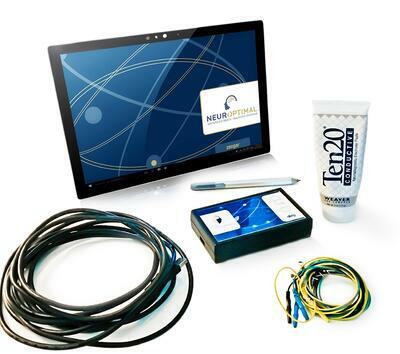 The NeurOptimal® Neurofeedback Trainer is professional-grade neurofeedback equipment that gives you the exact same results as if you trained with a professional in an office setting. The system is the only technology that is fully automated based on Dynamical® feedback mathematics. That means every training sessions is giving that brain exactly what it needs for optimal results. Learn more about how the NeurOptimal system works. With a rental, you're able to run sessions at your home on your own time and pace, and for 50% savings over in-office sessions if you rent, and save 80% if you purchase! is neurofeedback at home right for me? To help you explore whether a rental is right for you, we asked Kate Linsley, head of Denver and midwest region of our national neurofeedback rental program, to give us her most frequently asked questions about renting; from how NeurOptimal works to how many neurofeedback sessions is recommended, and including some surprising questions. We strongly recommend all renters fill out our Checklist of Concerns prior to starting and then again, after every 8 sessions. For example, when clients see their rate of 10 for "Feelings of Worry, Fear or Anguish" turn into a 4 (10 being worst), they know the training is doing something good for them! What’s included in the home unit rental? Do I need to purchase EEG paste or anything separate? How difficult is it to learn how to run sessions? Learning how to use the equipment will take you approximately 10-15 minutes and we provide a printed manual with the equipment. There are only 3 items you need to get familiar with: the tablet, the amplifier (called zAmp), and the 5 sensors. There are only 3 buttons that you'll need to press on the computer. 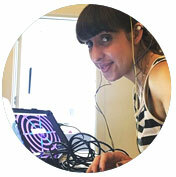 And you can learn how to place the EEG sensors on your head from a 3-minute video. Warning: you may get some EEG paste in your hair the first time, but it's water-soluable and comes out easily! How much does the equipment cost to rent? We offer three monthly plans--an Individual, a Family and an Unlimited Plan. Cost per session can be as low as $40/session. See our pricing here. If you don't live close to our locations (NYC, Pasadena or Boulder) we also ship it directly to your home for a small fee. Shipping cost is not included and billed separately. How long does it take to get the home system rental? Depending on availability, the time from sending in paperwork to rental arrival is approximately 2-3 business days. If in Canada, shipment takes 5-6 business days. Why is two months minimum rental recommended? The best training results occur when clients train for 2 - 4 months, with 2 days’ sleep between training sessions. If you rent for 2 months, that would look like 2-3 sessions per week, for a total of 20-30 sessions. Watch this demonstration on how to add the 5 sensor to your ears and scalp. How many sessions should I run per week? We usually recommend 1-3 sessions per week per trainee, though you can train up to 5 times per week. The minimum we recommend is once a week because through the training the brain is learning a new way of decision making and, like learning a new language, the more frequently the brain practices, the faster we learn. If I do 30 sessions in 30 days will that have the same effect as 30 sessions over 3 months? No. While your brain will learn a lot about itself if you train every day for a month the value of spreading those trainings over 3 months is that it gives your behaviour and thought patterns time to adapt. For example, when the brain learns it doesn't need to stay in an stress zone of fight/flight pattern it's going to want to hang out less in highly fearful environments. Here's what a client review (two months of renting, training 3 times per week): "Easy to use, cost efficient and extremely effective. My stress has taken a back seat." Why Do We Recommend That A Parent Also Train If They Are Renting A Neurofeedback Machine For Their Child’s Attention and Focus Problem? The short answer is that your nervous systems are connected. Re-regulate one, and it supports the other one. Stress for the parent can take him or her out of regulation. School stress, lack of focus, may be what is seen in the child. Create calm and focus in the parent, the child's system responds to it, making it easier for them to stay regulated. Not sure what the Best Training Option is for You? 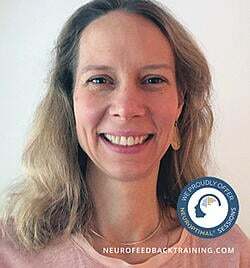 Talk To An Expert Neurofeedback Trainer! We've been providing neurofeedback rentals since 2011 and our expert team are here to help! Our trainers can guide you in what monthly plan would work best for you and answer any questions you may have about neurofeedback training. Interested in trying a session in Portland Oregon?